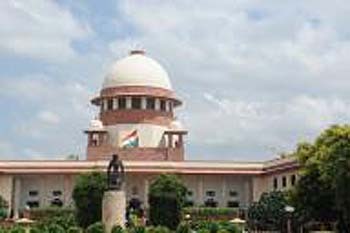 New Delhi, Feb 7 : The Supreme Court on Thursday came down heavily on CBI Joint Director M. Nageswara Rao and prosecution in-charge S. Bhasuran for transferring an agency officer probing the Muzaffarpur shelter home case despite the court's embargo against the transfer of then Additional Director A.K. Sharma who was heading the investigation team. A bench of Chief Justice Ranjan Gogoi, Justice Deepak Misra and Justice Sanjiv Khanna slammed both officials for transferring Sharma without obtaining prior nod of the court or informing the Appointments Committee of the Cabinet (ACC) about October 31 and November 28, 2018 orders of the court that had said that A.K. Sharma would continue to be the "senior-most officer as a part of the investigating team..."
Similarly, by November 28, 2018 order by which the CBI was allowed to expand the investigating team as it took upon itself the responsibility of probing other cases of "grave concern", the court had clarified that "we make it absolutely clear that Mr. A.K. Sharma, Additional Director, in-charge of the investigations, will continue to remain the in-charge of the investigations and the expanded team including the new members will report to him directly". Taking a "very very serious view" of the transfer, the bench sought their response by Monday and their personal presence in the court on Tuesday. Describing it as a "fit case of contempt", the CJI said: "We will get to the bottom of the matter... We are going to take it very very seriously. You have played with the orders of this court. God help you." As CBI Superintendent of Police D. Singh, who is posted at Patna, told the court that he had filed the affidavit on the transfer of Sharma on instructions from Nageswara Rao, CJI Gogoi asked: "How this SP is competent to file this affidavit?" "This is happening. This is a reality. We intend to deal with it," he said also telling D. Singh, who was present in the court, "Never ever file an affidavit without satisfaction." "Law is the only master you serve, not any bureaucrat, not any politician. Keep that in mind," CJI Gogoi told the CBI official.